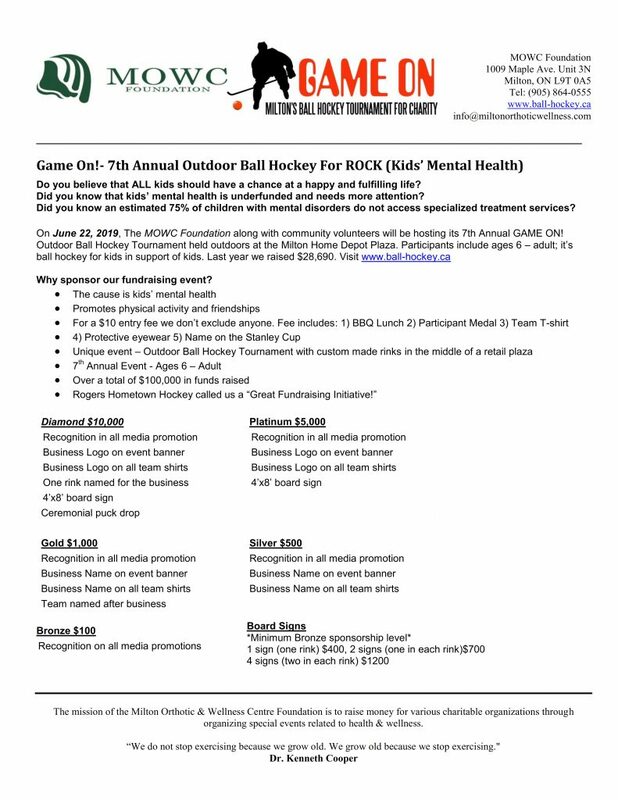 Please see below for our 2019 – 7th Annual Game On! Sponsorship Packages. Thank you in advance for your consideration and see you soon! Why sponsor our fundraising event? The money raised will be in support of ROCK (Reach Out Centre For Kids). ROCK is the largest accredited children’s mental health centre in the Region of Halton.